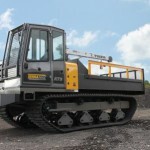 Crawler Carrier Parts Tie Everything Together – Do You Have The Right Ones? Parts make up the whole so it is imperative every crawler carrier part you select is created with quality and durability in mind. 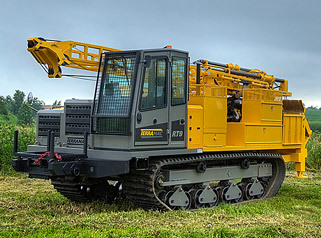 From the smallest bearing to the largest set of tracks, when one piece breaks it causes a breakdown of the entire unit which most, simply cannot afford. Nothing angers you more on the job site than finding out your crawler carrier is down. It’s frustrating, time consuming, costly and a hindrance to your project as a whole. It’s even worse when you can’t find the replacement crawler carrier parts, or when you finally find them and can’t get them delivered in a timely manner. Since many crawler carriers are built by companies oversees, that is also where you will typically find their parts inventory. 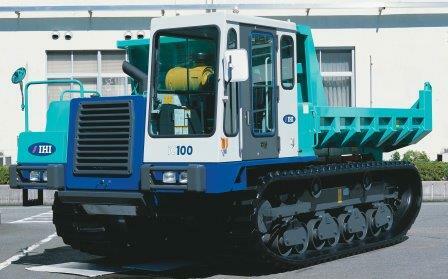 It’s not accommodating and certainly isn’t going to help you get your crawler carrier back up and running quickly. Being a sale and rental center for crawler carriers, Rig Source was quick to pick up on this need, and has invested a great deal into developing an entire crawler carrier parts and tracks department. 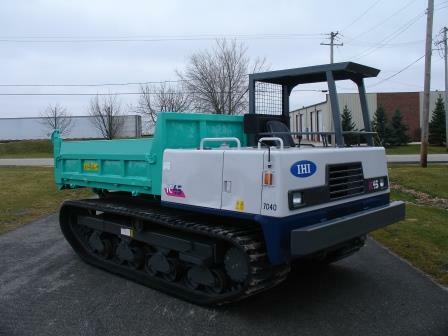 Our department is complete with a full stock of readily available parts and tracks for various crawler carrier units including, Terramac®, Morooka and IHI. Additionally, we have a superb service team knowledgeable of crawler carriers, and what keeps them running in tip top condition. They are committed to guiding you into the right parts and tracks purchase the first time around. 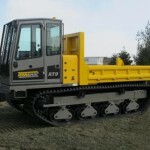 We are also willing to educate you on the parts and tracks your purchasing so you too can become an expert on maintaining your crawler carrier. 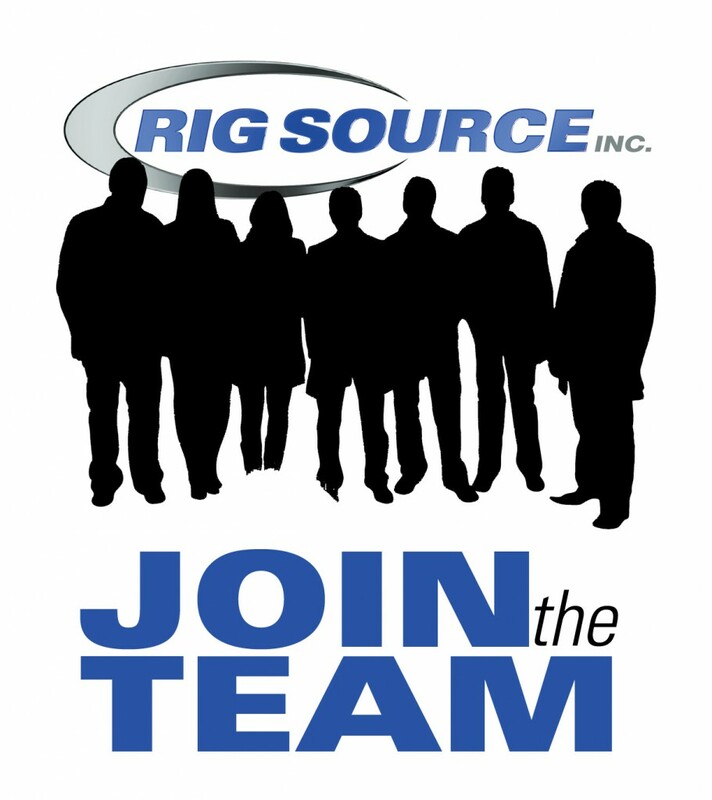 To place an order with Rig Source, it is quick and simple. 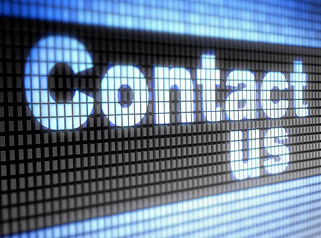 Just give us a call at 630.365.1649 and speak with a member of our service staff. We are here for you when your crawler carrier isn’t, and look forward to providing you the parts and tracks to get your crawler carrier back now, not later! 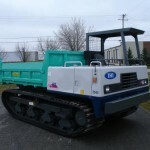 Be on the forefront of your industry and allow our rental tracked personnel carriers to get your crew where the work is. Rig Source recently started mounting personnel carriers to our crawler carrier units, and the response was out of this world. Upon completion of our first rental tracked personnel carrier, it was immediately sent out to a local customer in the pipeline industry. Due to the rapid response this unit received, Rig Source will continue to build these units to keep up with the high demand. 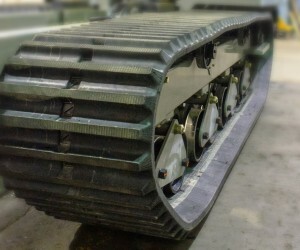 Our first rental tracked personnel carrier was built on a used Morooka MST800 crawler carrier, but as we grow so will the options for crawler carriers. 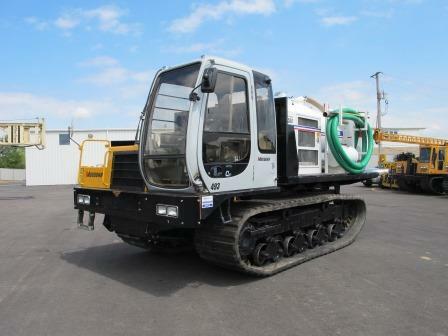 Right now the attachment is available for immediate rental on Morooka MST800’s. 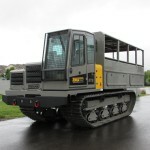 We are excited to announce that these personnel carriers will soon be available on the Terramac® RT9. 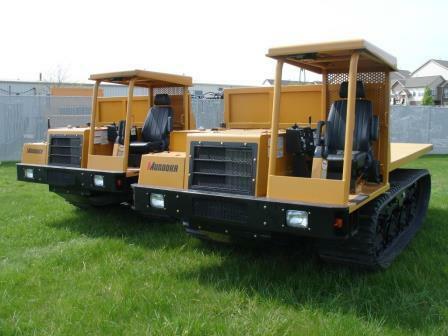 Both the current Morooka rental tracked personnel carrier as well as the Terramac® RT9 with personnel carrier provide unprecedented adaptability to companies looking to transport their crew safely to and from remote jobsite locations. 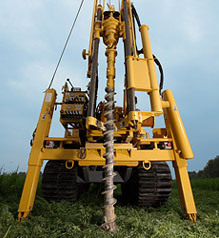 Rough terrain is an issue among many industries that makes it very difficult to get equipment to isolated areas, let alone with a full team of workers to actually get the job done. This is especially concerning in the springtime. 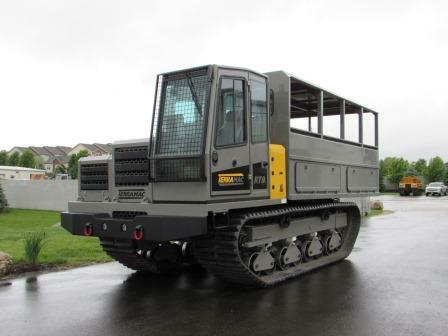 As Denzel Washington was quoted saying, “When you pray for rain, you gotta deal with the mud too,” and luckily our rental tracked personnel carriers can do just that. The low ground pressure that comes from rubber tracked crawler carriers allows them to travel in and out of some of the worst ground conditions. 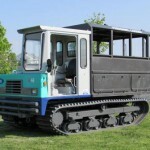 The personnel carrier attachment shown in these photographs is ROPS and FOPS Certified and is built to carry ten passengers. It comes complete with seat belts for all passengers and has enough space for gear as well as additional storage for tooling. There is a rear entrance for passengers with a fold up ladder that adds to its ground clearance. 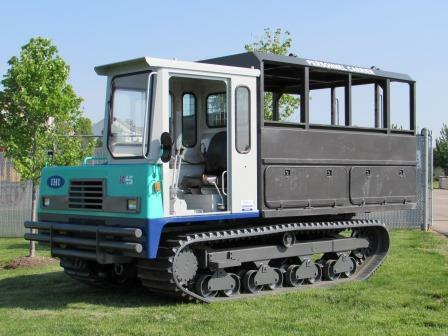 While our first rental tracked personnel carrier was leased to a pipeline company, other industries such as windmill, forestry, utility, right of way and mining have all expressed sincere interest in the unit. Don’t let the mud slow you down this spring or miss out on our new offer. 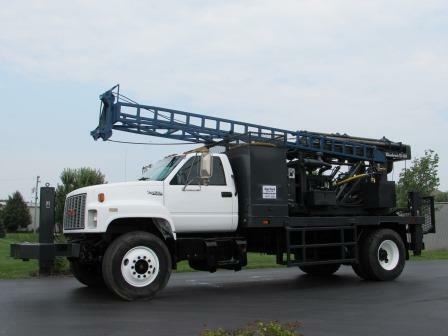 Our rental coordinator is eager to get you onto our rental calendar this spring so give Rig Source a call at 630.365.1649 and get set up in our rental tracked personnel carrier. 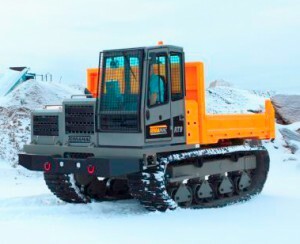 If you’re the owner or operator of a rubber track crawler carrier I’m sure you have wondered when the time is right to replace a machine’s rubber tracks to keep it operating at its best. Below are some helpful tips to take the guesswork out of the process. We all know to rotate the tires on our everyday wheeled vehicles on a regular basis and to replace them every 40-60k miles or when the tires start to show signs of balding. 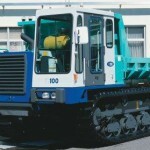 Figuring out when to replace the rubber that hits the ground on a rubber tracked crawler carrier isn’t as simple. Do You Need to Replace Your Rubber Tracks? If your rubber tracks have logged more than 2,000 hours it’s time to start planning for a replacement set. 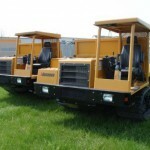 Depending on the terrain the machine is used on there might be visible tread wear. To eliminate unnecessary downtime and reduce track breakages in remote areas replace any tracks that show signs of wear. 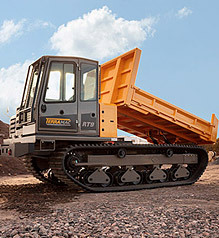 Worn tracks can also hinder the smooth operation that people have come to depend on from rubber track crawler carriers so be sure to plan ahead. If your rubber track appears to have a manufacturing defect contact the manufacturer to see if a replacement is covered under the warranty. Due to the nature of a job site not all damages will turn into claims but it is certainly worth investigating. Now that you’ve determined you need a set of new rubber tracks here are some helpful tips when shopping around for the best set of tracks money can buy. Looking Beyond the Surface: High quality rubber tracks contain more than just rubber. 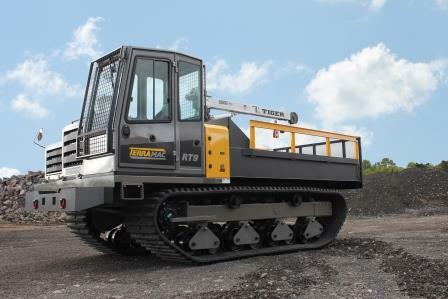 Tracks with continuous steel core technology eliminate the need for joints inside the tracks. Steel cords are wound helically inside the track to form one piece. This process offer maximum durability and keeps tracks from stretching and derailing over time. By eliminating the jointing you eliminate 95% rubber track failure. Beware of manufactures that produce new rubber tracks with flat separate cables or with cable winding that are not helically wound as this will result in an inferior product. Consider Tread Pattern: Not all tread patterns are treated equal. Look for a straight bar tread pattern since it is designed to increase traction, decrease tearing and provide even ground pressure in muddy or sandy soils. This is the most reliable tread pattern for a rubber track crawler carrier. 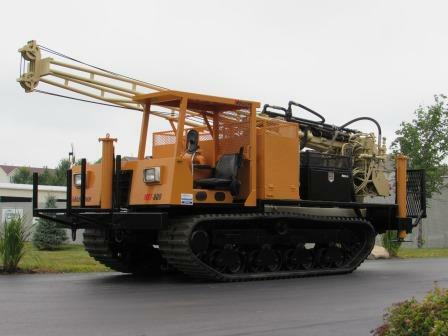 If you have determined you are in the market for new rubber tracks for your Terramac®, Morooka or IHI crawler carrier, Rig Source has inventory ready to ship. Call us today for a quote at 630-365-1649. You won’t be disappointed; our friendly and dependable staff will save you money and get you the equipment you need to get the job done on time! 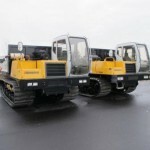 In addition to parts and service Rig Source has a wide variety of Rubber track crawler carriers for rent or for sale. 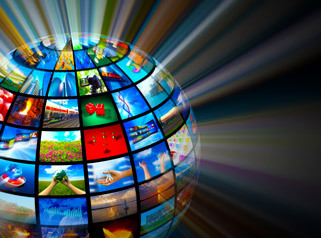 We look forward to working with you to make your business a success! 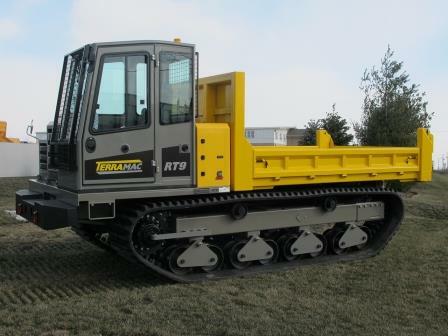 Rubber tracked rental units are favorable for seasonal work because they are really your only defense against the wrath of Mother Nature and her shifting weather patterns. If growing up in Chicago has taught me anything, it is to expect the unexpected when it comes to the weather. Our weather changes dramatically per season and often times even within a single season. It’s nearly impossible to select a single pair of shoes to carry you through the multiple seasons let alone a single piece of equipment capable of keeping your business moving forward. Don’t create your own restrictions! 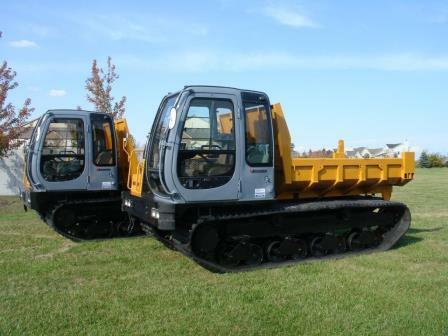 Instead, read the list below and discover the Top 5 reasons rubber tracked rental units are perfect for seasonal work. 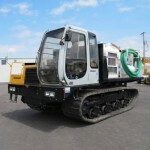 Customized Per Job – Selecting a rubber tracked rental unit allows your to change the type of equipment on an as need basis. If and when the weather changes so do your needs and a rental unit will allow you to follow suit. Not as Much Cash out Lay – You don’t have a lot of money wrapped into a single unit at any given time. You only need to spend money when you know for certain the unit is being used. 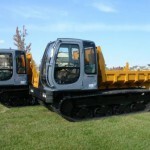 Not a Lot of Commitment – If something unexpected occurs on the jobsite you can take a rubber tracked rental unit off of rent, but you can’t always turn around and sell a piece of equipment that you have purchased. 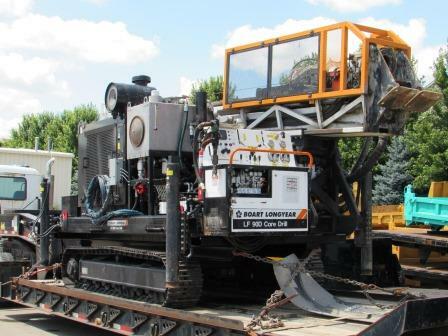 Minimal Repair – When renting, maintenance and repair of your rubber tracked unit is minimized to routine or wear and tear items. 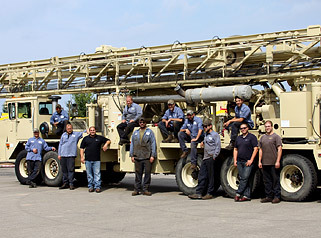 Any repairs above and beyond that are typically covered by the equipment rental company. In some cases, when a rental unit breaks down, companies like Rig Source will swap out any broken down units and replace it with a fully functioning one so there is no loss of down time. Tax Advantages – Certain tax advantages exist for businesses that choose to rent equipment, and allow for monthly rental payments to be expensed as a reduction in income. In turn, may lower a business’s tax burden. (Please consult your tax advisor prior to renting equipment to make sure that you qualify). Seasonal work definitely has its obstacles and a key component to overcoming them is to remain flexible. Tis the season for snow in Chicago right now, but it won’t be long until the April showers are upon us. 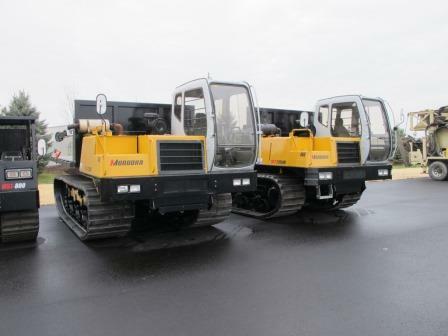 Be sure to plan ahead and turn to rubber tracked rental units that prove to be perfect for seasonal work.